What's the difference between an associate's and bachelor's degree in the legal field? 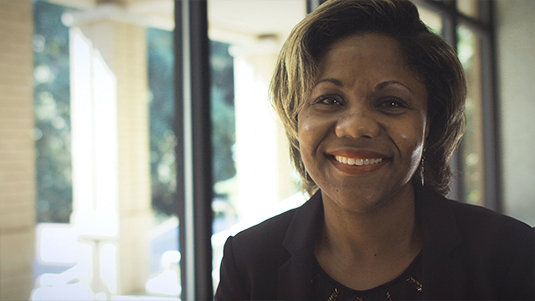 Dr. April Vance discusses the benefits of an Associate of Science in Paralegal Studies degree and how it differs from the Bachelor of Legal Studies program. My name is April Vance. I am the Interim Department Chair for the Legal Studies Department where students are engaged in pursuit of an Associate of Science in Paralegal Studies in the College of Arts and Sciences at South University. The Associate of Science in Paralegal Studies Degree is different from the Bachelor's of Science and Legal Studies Degree in that it provides a quicker way for you to enter into the workforce as a paralegal profession. One degree typically takes the student two years to achieve, and that would be the Associate of Science degree. We have certain core classes that students are required to complete. This may include Family Law. Students are also engaged in the study of Introduction to Legal Ethics. And finally, students also do an externship where they are required to complete 120 hours of practical experience in a legal office to prepare them for becoming the paralegal that they hope to be. So come, bring your previous life experience, your knowledge, your interest, your prior education, but come with the expectation that you are going to find professionals who really want to help you achieve this goal. South University’s criminal justice and legal studies programs represent two sides of our legal system, and depending on your interests, both can provide the foundation for starting, or expanding, your career. Working in law enforcement or criminal justice starts with one thing: the will to serve. For the responsible, dedicated citizens who are committed to keeping your communities safe and who have a strong interest in the criminal justice system, we provide a broad-based education that will prove to be the foundation of a solid career in law enforcement, correction, politics, or legal fields. A career in law is also a fulfilling and rewarding one, and in today’s competitive climate, it’s important to get the relevant education that will help you stand out in a crowd of graduates. South University delivers qualified, hardworking, competent candidates that employers seek. If you’re interested in investigating cases, researching the law, and preparing legal documents, let us help prepare you for a fulfilling career with our legal and paralegal programs.